What can you really buy for a penny these days? Nothing right? Well, not exactly. In the slot world, a penny is enough to buy you a spin of the reels. The best thing about that is that you never know what kind of return you can get from it if your luck is in. Some jackpots can be astronomical and where else can you get such a massive return on such a minuscule investment? And it’s not just winnings that make penny slots such a good option. There are a host of other benefits that we will look into that make them an attractive proposition. For one, if you are new to slot gaming then they are the perfect first step to ease into this exciting new world. So why start with penny slots? If you are completely new to this exciting form of gaming it might pay to try free penny slots initially. This will give you a taste of what slots are all about without having to front up even a penny. There are a vast number of games available online now – literally thousands. They come in just about every genre and theme you can possibly think of. Free play will give you a chance to experiment with a huge number of them and find which one suits you the best. The key benefit of free play is also one of its downsides though – it’s all just pretend money and you can’t win anything. So, once you have picked one or two you like and want to try your luck with actual cash, then penny slots are the next logical step to take. Penny slots are perfect for dipping a toe into real gaming because when you demo a game you don’t experience the full range of its effects. There is a huge psychological difference between ‘wagering’ 500 virtual coins per spin and burning through a virtual allowance within a minute and playing for real pennies. Even though you may only be risking 1 penny per spin, the emotional effects will become immediately apparent. It’s real now! Sometimes it takes a few losing spins to get to a winner and some people don’t enjoy that. This is totally fine. It is better to play for pennies to discover that before progressing onto bigger stakes. Some people absolutely love the thrill of the chase, and as long as they are playing to a set bankroll there are few more exciting ways to past time. Playing for pennies allows users to experiment with different approaches to games with minimal expenditure. You can adjust the number of paylines, and other betting options to see how a game responds differently to them. The number one tip is to set a budget and stick to it. It can be easy to forget to monitor total spin values because you have the image of a penny in your mind. However, if you are altering game settings like pay lines it can up the cost of each spin and eat into a bankroll quickly. If you set your expectations accordingly you will have a fun, stress-free time. Keeping it fun is the name of the game and slots can certainly provide a lot of that. Penny slots are perfect for some low key casual gaming, but they can also be a roller coaster of emotions. This is what makes them so popular. Along with the fun, there is one excellent benefit that can also be overlooked when wagering with pennies. They can also be extremely profitable! Some games like Book of Dead and Vikings go to Hell are penny slots that pay out thousands of times the wager. Okay, maybe that doesn’t work out to a Pharaoh’s fortune in pennies, but it is still a fantastic return considering the bet size. 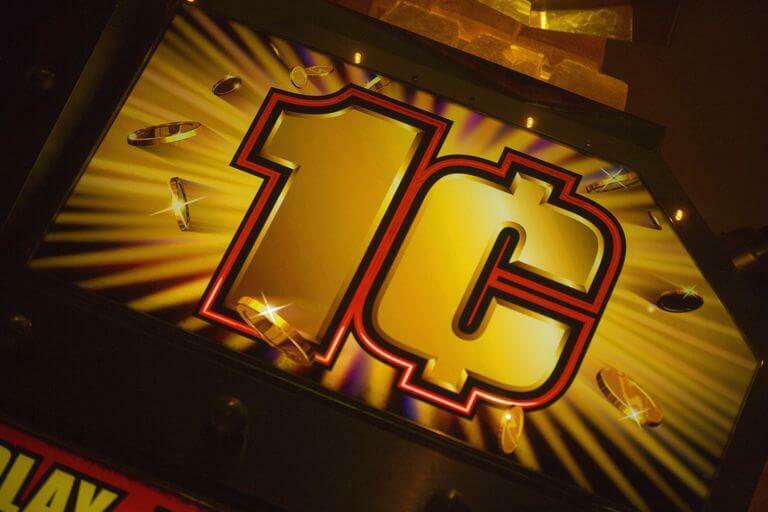 There is no doubt that penny slots make the perfect introduction to slot gaming for newcomers. As long as simple rules are set and adhered to then if they can provide countless hours of thrilling entertainment for the budding gamer. One thing cannot be reiterated enough – setting a realistic budget and sticking to it. This is the key to keeping slots fun. Once this has been set, then comes the fun part of finding the perfect game. If you need some inspiration in your search make sure to check the reviews section here for some recommendations. Then it’s on to the exciting part – the gaming!